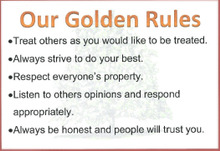 We are now a few weeks into the term and the children (and staff) are working hard and enjoying their new themes. The week got off to a somewhat surprising start after Mrs Pope and Mrs Tyndall discovered a flooded Reception classroom. We are awaiting a new carpet and we will keep you informed of when the children can move back into their classrooms. I would like to share with you a piece of sporting success – With no games left to play, our Year 5/6 boys football team are the Gloucester Schools League winners! A massive well done to all of those on the team. The weather has certainly become colder and there was even a snowflake or two earlier this week. In the event of an emergency closure I, along with Mrs Tyndall as Site Manager, take the decision together and we send out a Schoolzine message. The closure would also be on the home page of our school website; on the Gloucestershire closed schools web page http://ww3.gloucestershire.gov.uk/closedschools ; and would be announced on local radio. Wherever possible, we will open but we base our decision on whether access to the school site is safe; whether we could get an ambulance or fire engine to the school in the event of an emergency; and whether enough staff can get in from where they live to provide safe and adequate cover for the classes. What is the purpose of castles and why do we have them? The only true failure would be to not explore at all! If your child is 5 minutes late every day they will miss three days of learning each year . Please do not forget to phone the office if your child is unwell or to let us know that your child has a medical appointment within the school day. Have you read the story 'Ice Monster' by David Walliams? Year 2 have been doing a novel study on it. It is a brilliant story about a girl who is trying to save a woolly mammoth, but it escapes! On Friday 1st February (actually when one of the Year 2 children predicted this would happen! ), the children started their day surrounded by snow, then, after assembly, the Year 2 children got a surprise when they heard loud elephant-like noises from Class 6! Was it Woolly? Shocked and surprised, they all went to investigate. 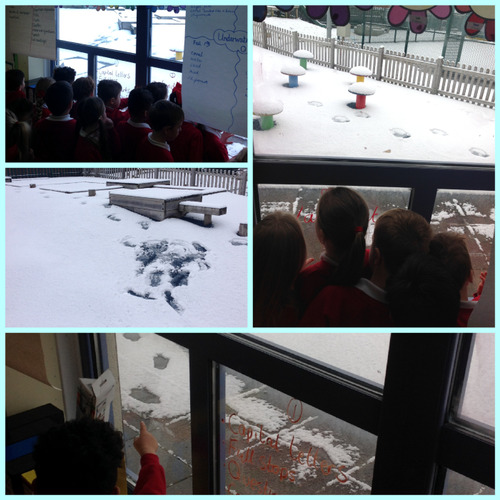 The class had REAL snow EVERYWHERE! Then, outside, they could see mammoth-sized footprints in the snow. So many questions to ask. So much excitement and intrigue!